Tamang Heritage 14 days trek is a moderate trek. Travelers who can walk up to 6-7 hours a day on an uphill and downhill trail will find this trek fulfilling. It is best that we prepare ourselves for the Annapurna trek by jogging and exercising regularly at least a month prior to the start of the trek. Trekking to the Everest Base Camp should be relatively easier for those who have experience walking/trekking in a high altitude environment. Past hiking experience would be an asset but no technical skill is required for this trip. It is also important that we consult our doctor. Participants with pre-existing medical conditions such as heart, lung, and blood diseases should inform Discovery Mountai Trek before booking the trek. 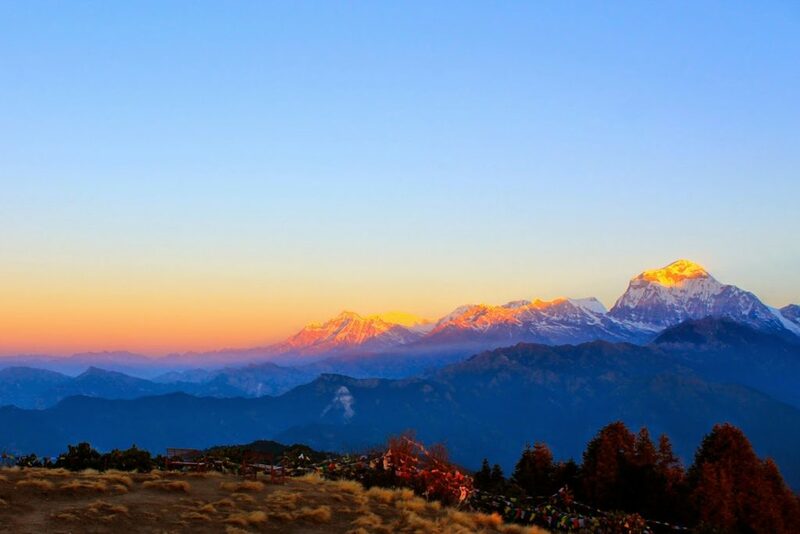 The best time to trek to the Tamang Heritage Trek is Spring (February to May) and Autumn (September to November). The temperature is moderate in these seasons and guarantees amazing views through the trip. Although this trek can be undertaken during winter, the cold temperature might not be suitable for everyone. Tamang Heritage Trek is an exciting trek into the Himalayas that offers travelers a peek into the every-day lives of the Tamang people who are Nepalese mountain dwellers of the Langtang region. The 14-day trip begins in Kathmandu with visits to World Heritage Sites. Next, we drive to Syabrubesi and begin trekking into the mountaneous region. Throughout our journey we will be rewarded with outstanding views of the Himalayas and get acquainted with the culture and traditions of the Tamangs who live in close vicinity to the mighty Langtang. We start our trek from Syabrubesi, we hike across the Goljung Village enjoying views of the Ganesh Himal, Shishapangma, Langtang Lirung and others. Gatlang is a small village on the hillside with traditional stone houses. Today we trek from Tatopani to Thuman via Brimdang and Nagthali. Passing through the dense alpine forest, we reach the small Tamang settlement of Brimdang. From here, it’s a few hours walk uphill until Nagthali hill. Here, we enjoy the mesmerizing views of Langtang, Sanjen,Kerung and Ganesh Himal. Next, trek downhill to the Tamang village. After breakfast, we start our trip to the mandu. The trail continues alongside dense forests. After climbing up steadily through the valley, we leave the tree line behind us. On the way, we also enjoy the marvelous views of Langtang Lirung, pass by water mills, prayer wheels and chortens adorned with sacred mounds of rocks with inscriptions carved on them. We trek back to the Lama Hotel. Since the trek is only downhill, it will only take us around 4 to 5 hours to reach our destination. It is a downhill trek through forests and alongside a beautiful mountain river. On the way we pass through the ethnic settlements of the Tamang people whose religious and cultural practices similar to the Tibetans. We drive back to Kathmandu. After arriving in Kathmandu we take a rest at our hotel or stroll in the streets of Thamel, a popular tourist hub for some souvenir shopping. In the evening, there will be a farewell dinner to celebrate the successful completion of our trip. Today after breakfast we will start visit you to several of the most historical and spiritual attractions in Kathmandu which are also listed as UNESCO World Heritage sites. you visit the sacred Hindu temple of Pashupatinath, the famous ‘Monkey Temple’ (Swayambhunath) and Buddhist shrine (Bouddhanath), which is also one of the largest stupas in the world.